Here we will solve the problem on inequalities in triangle. 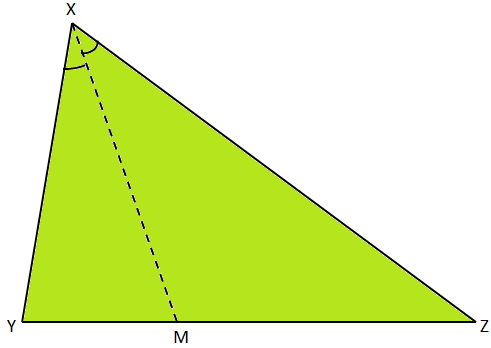 Let XYZ be a triangle in which XM bisects ∠YXZ. Prove that XY is greater than YM. Also, in ∆XMZ, ∠XMY > ∠MXZ, as an exterior angle of a triangle is always greater then either of the interior opposite angles. Therefore, ∠XMY > ∠YXM, [From (i)]. Therefore, XY > YM, as the greater angle has the greater side opposite to it.